Current administration has left the ICT sector in ruins, but it is not too late for remedial action, write Justine Limpetlaw and Duduetsang Makuse for the SOS Coalition. We know you are very busy, with a lot on your mind and on your plate. There are big fish to fry. We are writing regarding electronic communications – a critically important sector of our economy and society. Although often unrecognised, electronic communications including information technology, telecommunications and broadcasting contributes more to the country’s gross domestic product than agriculture. There are real problems here and we propose solutions for urgent attention. The sector is in crisis owing to infighting between competing ministries, policy chaos characterising information and communication technology (ICT) and digital terrestrial television (DTT) as well as high data costs. It is trendy to blame President Jacob Zuma for everything, but in the ICT sector he really has a lot to answer for. Most worrying are the presidential actions that have undermined the ANC’s policy objectives and decisions. In 2014, without warning or justification, Zuma split the department of communications into two, creating a new department of telecommunications and postal services. Trying to separate broadcasting from other types of electronic communications smacks of King Canute at the seaside. Convergence is not a figment of policy. It is a technological and economic reality. We watch TV and listen to the radio on our phones. No country in the world has separated converged ICT departments, except for South Africa. Why? One only has to look at the calibre of ministers in the past 10 years to know it is for political protection for the president and his henchmen. Former SABC boss Hlaudi Motsoeneng and Public Services Minister Faith Muthambi come to mind. With perhaps a single exception, we have had a run of disastrous ministers who have been appointed for their securocrat tendencies and craven loyalty to the president. 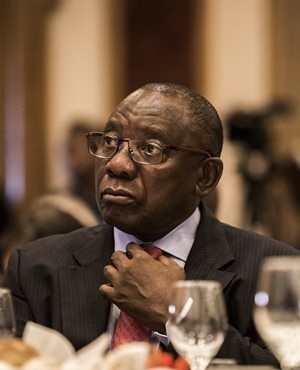 Some of the disastrous policy decisions taken by these ministers include not developing new audiovisual content policies; undermining the SABC’s independence; deciding against DTT encryption and therefore against the interests of free-to-air TV and those of the public; and creating new regulators. These policies fly in the face of the ANC clear policy statements and indeed of Cabinet decisions. This has been disastrous for the ruling party and has contributed greatly to public distrust in government. What must be done to get this sector back on track? First of all, you have to recognise reality. Convergence is an egg that cannot be unscrambled. We need one ministry responsible for the ICT sector. Secondly, we need a converged independent regulator to scrap policy recommendations to split the Independent Communications Authority of SA (Icasa) into a number of different regulators. You also have to ensure that the ministry and the regulator are led by men and women who are capable, experienced and committed to freedom of expression and universal access to ICT technologies that are affordable and world class. Communications Minister Mmamoloko Kubayi-Ngubane’s shameful appointment of Rubben Mohlaloga as chairperson of Icasa while he is facing criminal fraud charges is simply inexcusable. Within six short weeks of his appointment, Mohlaloga was convicted of defrauding Land Bank – an institution meant to help those left landless and vulnerable by apartheid. Lastly, you must sincerely address the issue of updating policy that harnesses both the private and public sector’s ability to roll out broadband and digital technologies that serve the people. South Africa used to lead the continent on every internet matrix. In terms of download speeds, we now lag behind Kenya and Morocco. South Africa has the most expensive data among Africa’s leading economies, at R150 per gigabyte – more expensive than Egypt, Tanzania, Ghana, Nigeria and Kenya. Critically, 46% of our population has no access to the internet, while countries such as Kenya, Mauritius, Morocco and the Seychelles have higher internet penetration rates than we do. Instead of being an afterthought, as the ICT sector has been for previous presidents, please put the sector in your headlights and make developing this future-proof industry of our economy a developmental priority.